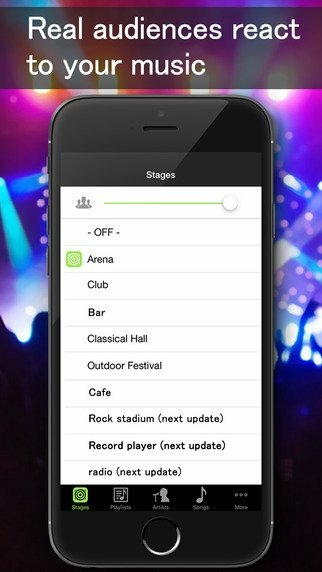 Missing the feeling of going to a live concert? 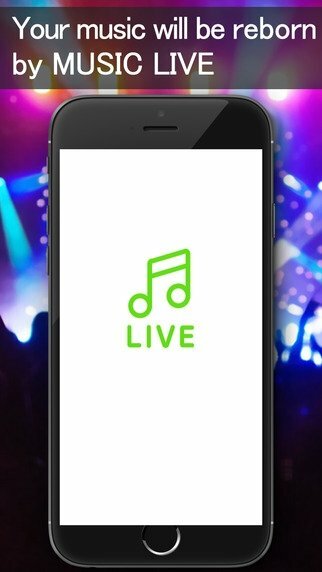 Don't worry, because now MUSIC LIVE - Live Concert Simulator is here, the application with which you can turn any song into a live version. In a stadium? In a club? In a bar? Choose your favorite song and then the venue where you'd like to listen to it. 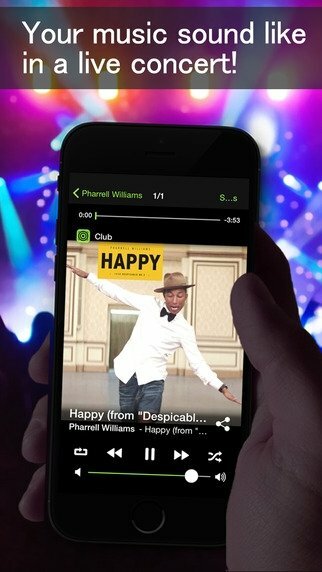 A live music effect will be immediately applied to the song as if they had been recorded at any of these places. It will be just like travelling back in time to your younger days. Unfortunately, no bull rings are available. 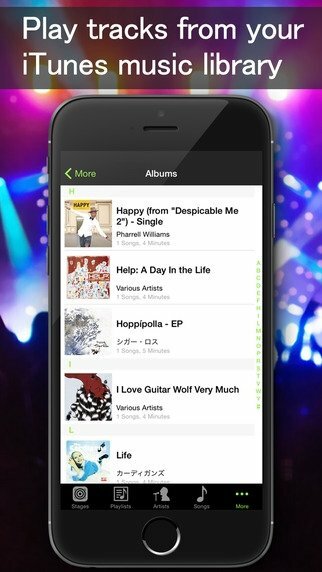 MUSIC LIVE can apply effects to any song in your iTunes library, so it will be like having a totally new discography on your iPhone or iPad.